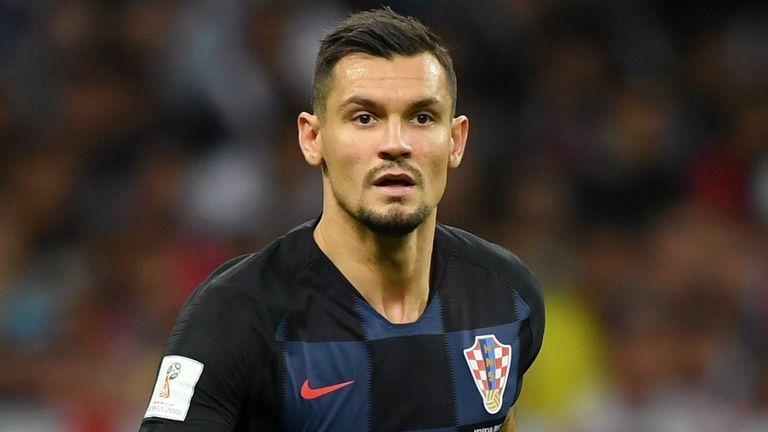 Croatia defender Dejan Lovren has been banned for one international match over comments he made on social media about opponents Spain following his side's 3-2 Nations League win in November. Lovren posted a video on Instagram where he appeared to brag about elbowing Real Madrid defender Sergio Ramos and made insulting comments about the Spain team following the game on November 15. He also told reporters after the match that Spain were 'rude on the pitch' and bad losers. Following Croatia's 3-2 win over Spain, Lovren took part in an Instagram Live in the dressing room afterwards. Haha! 3-2! Go ahead and talk now buddy. Buddy! They are a bunch of p******. He then covered the Spain flag stitched onto his shirt and said 'only this side is worthy', pointing to the Croatian flag. He is suspended for Croatia's next UEFA competition match, which is the Euro 2020 qualifiers at home to Azerbaijan in March 21. UEFA also fined Croatia 13,000 euros (N5m) over charges that fans threw objects and blocked stairways at Zagreb’s Maksimir Stadium.